Make sure you know all the task types by looking at practice tests. 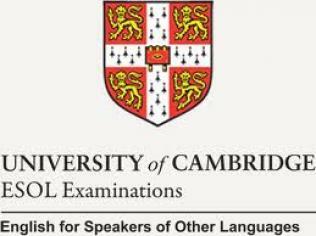 Make sure you do lots of general reading practice in class and at home, especially the kinds of texts used in the Cambridge English: Preliminary test. Keep a vocabulary notebook to write down new words and make notes about how to use each word. Read all the instructions carefully and look at any examples. Make sure that you can skim and scan (read a text quickly for the main ideas or to find specific information). Check your answers and make sure you have written them in the correct place on the answer sheet. Make sure that your handwriting is clear and easy to read. Read each text before you try to answer the questions. Use a pencil, not a pen, on the answer sheet. Don’t leave answers blank, even if you aren’t sure of the answer. Don’t worry if there is a word you don’t know. Try to guess its meaning. Don’t write a full, rough copy of Writing Part 2 and 3. Just write quick notes to plan your answer. Don’t worry too much about making grammar mistakes in Writing Parts 2 and 3. Communicating is the important thing. Read the instructions carefully for each part. Look at the question paper material (the questions, text and pictures) and think about what kind of information you are going to hear. Listen to and look at the example question. Answer as much as you can when you hear the recording for the first time. Check your answers and find any missing answers when you hear the recording for the second time. Answer all the questions even if you are not sure – you probably understand more than you think and even a guess may be correct. Only transfer your answers to the answer sheet when you are told to do so at the end of the test. Be careful when you are transferring your answers to the question sheet. Don’t worry if you don’t hear the answer the first time. Everything is played twice. Don’t panic if you don’t understand everything in the text – you probably don’t need to. Don’t use a pen. You must use a pencil. Don’t change your answers when you are transferring them to the answer sheet. Practise your English, in and out of the classroom, as much as you can. Listen carefully to the examiner’s questions. Ask the examiner if you don’t understand what you have to do. Speak clearly so that both examiners and your partner can hear you. Remember that both the examiners want you to do well in the test. Talk to the examiner, not your partner. Make sure you can spell your name. Talk to your partner, not the examiner. Listen to your partner’s answers and look at them to show you are interested in what they are saying. Give your partner a chance to speak too. Talk about everything you can see in the photograph, e.g. colours, clothes, time of day, weather. If you don’t know a word, try to explain what you mean in other words. Don’t worry too much about making grammatical mistakes. Don’t worry too much if you don’t know a word. Don’t worry if your partner is a stronger or weaker speaker than you. The examiners assess you individually. Don’t sit in silence in the test, even if you are nervous. Examiners can’t give you marks if you don’t speak. Don’t speak for too long without involving your partner. Don’t try to talk about things/ideas outside the photograph. Don’t stop talking if there is a word you don’t know, just talk about something else you can see. You can also read the article in the Cambridge ESOL Deutschland, Österreich, Schweiz blog.